Ethics committee at the House of Commons. Posted on May 27, 2013 Author Stephen TaylorCategories PhotoblogLeave a comment on Ethics committee at the House of Commons. Was Tyrone Benskin’s PMB about himself? MONTREAL – The NDP has suspended a member from its shadow cabinet because of his chronic, long-term failure to pay taxes. Tyrone Benskin has been stripped of his role as official-languages critic until he pays the taxes he owes. The announcement follows a report that Quebec’s revenue agency has contacted the House of Commons to seize part of his salary because of more than $58,000 he owes the province for unpaid taxes between 2007 and 2011. The culture industry is one of the biggest sectors of the Canadian economy. But due to their often irregular hours and inconsistent incomes, artists are nearly always disadvantaged both by punitively high taxation during years of high earning and by being ineligible for a number of federal programs such as Employment Insurance (EI), the Canada Pension Plan (CPP) and others. Tyrone Benskin’s Bill C-427 will begin to level the playing field by allowing Canadian artists to average their income over a period, achieving considerable tax savings over two to five years. This would follow the example of Quebec and of a number of foreign countries. This is a deeply personal project for Mr. Benskin, who has been an artist for over 30 years. C-427 is born of an intimate understanding of the numerous and pressing challenges faced by contemporary Canadian artists. Is it not a conflict of interest for a Member of Parliament to be legislating on an issue that affects him directly? We’re all taxpayers of course, but doesn’t this legislation affect his particular case directly? Mr. Benskin lost his shadow cabinet position today in the NDP caucus. Should we have sitting MPs that legislate specifically to their own interest? Should Benskin be facing the Ethics Commissioner instead? This appears to be a grossly unethical conflict of interest. UPDATE: Benskin is ‘truly sorry’ and promises to pay his taxes. Posted on May 24, 2013 Author Stephen TaylorCategories OtherLeave a comment on Was Tyrone Benskin’s PMB about himself? Denis Coderre announced today that he’s running for mayor of Montreal. We wish him the best of luck. However, Coderre told reporters that he’ll be stepping down as a federal Member of Parliament on June 2nd. That’s a bit of a peculiar date as it is neither today, nor election day, nor when the mayor-elect — whoever it will be — will be sworn in as mayor of Montreal. Perhaps it has something to do with the fact that Mr. Coderre was first elected on June 2nd 1997, marking 16 years in office. And qualifying for another MP pension eligibility threshold on that very same date. Situation Room? More like “Blitzuation Room”. No? Uh, I’ll see myself out. Posted on May 11, 2013 Author Stephen TaylorCategories PhotoblogLeave a comment on Situation Room? More like “Blitzuation Room”. No? Uh, I’ll see myself out. 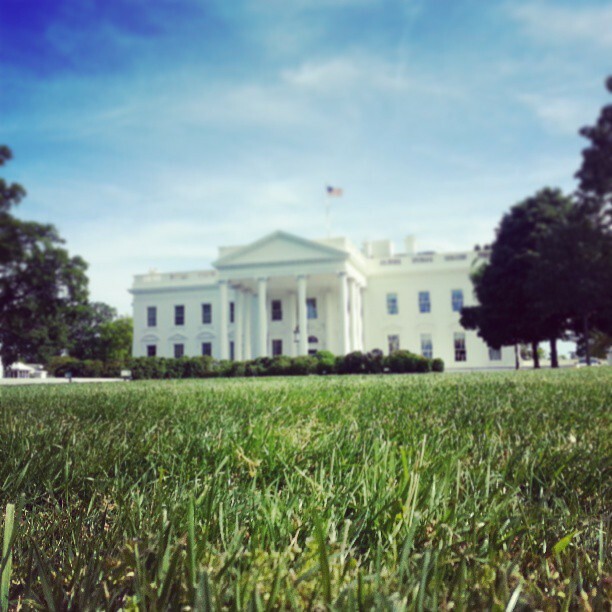 Posted on May 5, 2013 Author Stephen TaylorCategories PhotoblogLeave a comment on White House.